California Genealogical Society and Library blog: California State Archives: Come Experience It With Us! California State Archives: Come Experience It With Us! The California State Archives is a rich resource for researching family history. Join us for an exciting and productive field trip to the State Archives in Sacramento on June 13, 2017 at 10:00am. The Field Trip will include a tour of the Archives and time to do your own research. It's also free for members. Register here. 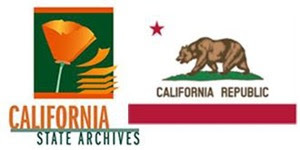 The State Archives contain microfilmed copies and original records from 28 of California's counties including probate, deeds, military, prison, and naturalization records, as well as many state collections of interest to genealogists. This tour involves walking up and down one flight of stairs and about a mile on concrete. No food, beverages, bags, purses, or backpacks are allowed on the tour. You can lock your personal belongings in the lockers at the Archives. You may bring a camera on the tour, but flash photography is not allowed. Those who wish to do research may do so by appointment prior to the tour. There is limited metered parking and a city-parking garage at the corner of 10th and L Streets. Transportation will be by casual carpool. It is about 1 ½ hour drive from CGS in Oakland. CGS cannot provide the transportation. What are you waiting for? 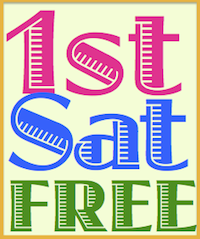 Sign-up for this fun day of genealogy! Linda is a fourth generation San Franciscan who has lived all but two years of her life in the Bay Area. Her interest in genealogy began as a hobby in 1998 but has since grown to a personal quest. Linda has been researching her husband’s ancestry for the past several years, documenting his family in the internment camps and in Japan. She is passionate about researching, documenting, teaching, and sharing the stores of Japanese Americans.